The U.S. Air Force Heritage Flight and the U.S. Navy Legacy Flight program. 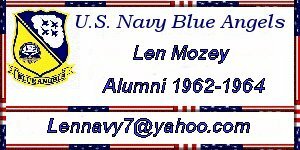 They were established in 1997 to commemorate the Air Force's 50th anniversary and the U.S. Navy 100 years of Naval Avation. It involves today's state-of-the-art fighters flying in close formation with World War II, Korean and Vietnam era. The flight's mission is to safely and proudly display the evolution of U.S. Air Force and U.S. Navy Airpower to support the recruiting and retention efforts. Click on button for the USAF Heritage Flight. Click on button for the USN Heritage Flight. Click on button for the CAF Heritage Flight. Click on button for the CAF Demo Flight.